"It was the man who invented the meter who made the money"
When you think about the role of the meter in today’s utility, it is the essential piece of equipment to quantify and cement the relationship between the service provider, and service consumer. 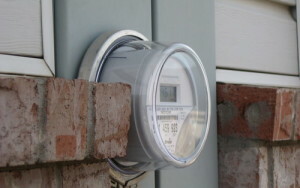 Meter in place, the consumer is most likely engaged in consumption. No meter in place, well, then it’s a lot tougher to be a consumer – especially in a safe manner. But what happens when meters malfunction, maybe stuck, or running fast? Part of the solution has been technology. We’ve surrounded meters with vast amounts of ‘smart’ technology to help identify just these types of events. To help paint the picture, the US Energy Information Administration estimates that in 2012 (using the most recent data available), there were over 43 million ‘smart’ electric meters deployed2. During that same period, the US Census Office estimated that there were approximately 132.5 million ‘housing units.’3 At this point, approximately 1/3 of US households were using smart electric meters. While it wouldn’t be fair to sum up smart meter benefits to one feature, I think it is safe to say that an important aspect is the support of electronic data flow and integration between the equipment in the field, and the back office systems of the utility. What I find interesting is that while the meter has been surrounded by technology to better install, read, analyze and repair it, most meter work still tends to come down to ‘rolling a truck’ and sending a technician to investigate an issue that the smart technology has uncovered. For many utilities, these technicians are still managing paper in the field, and dragging it back to be manually entered into a back office system. We expect more from our meters, why not apply the same standard to our personnel and their ability to connect and collaborate with the back office? I believe it can only be a matter of time before mobile connectivity between the personnel in the field and the back office becomes the rule, rather than the exception at all utilities, not only the largest. 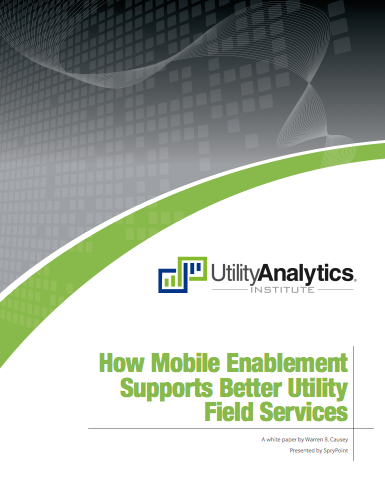 Mobile technology is changing the way utilities serve their customers. Download this white paper to learn more. Interested in speaking with a member of the SpryPoint team? Submit this form and we'll be in touch. SpryPoint was founded on the premise that utilities are in a great position to leverage the technological advances of the last decade. New technology can seem foreign and overly-complex. SpryPoint is here to help bridge the gap in how you use technology today and tomorrow. 2019 © SpryPoint. All Rights Reserved.